Blogging is a beast. There’s no other way to quite say it, there’s just a lot to do and a ton to keep track of. That’s where my obsession with finding the perfect blog planner really began and trust me when I say, I’ve tried LOTS of them! For my daily, I use a Today & To Do/Whitney English Day Designer. But a great blog planner is essential for my blogging and my blogging clients, too. If you’re looking for the best free printable blog planners, check out one of these 14 free blog planners below. 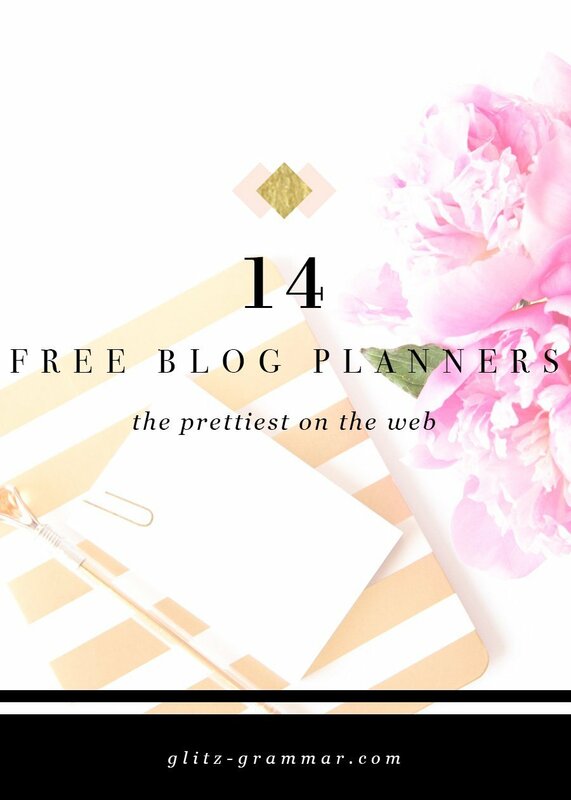 My personal favorite free blog planner, and the one I use currently is by Designer Blogs. It’s clean, simple and contains almost everything I need in a blog planner. Download it here. 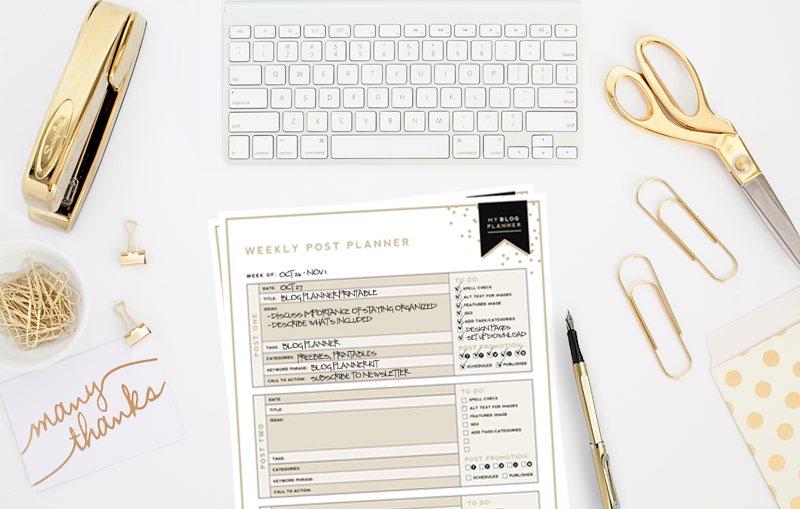 This free printable blog planner comes with pages for tracking your analytics, planning your weekly posts, brainstorming, tracking your finances and affiliate programs and more. Plus, if you need a specific size, you can upgrade for just $8 and get the planner in any size you want! For something bright and cheery, House of Rose has a lovely blog planner. Download it here. 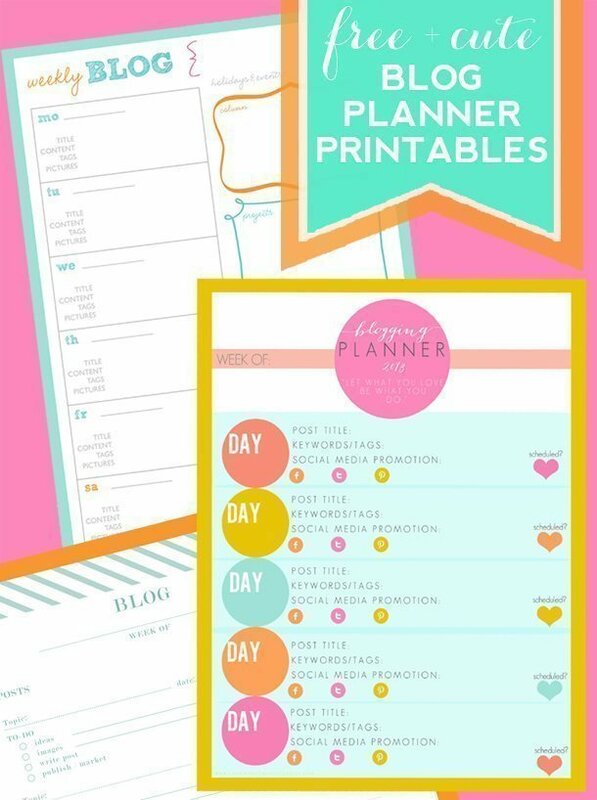 This free printable blog planner has a to-do list reminder, dail and weekly views and more. More than just a basic blog planner, Suzi from Start a Mom Blog has created one that includes mapping out your blog business plan and making SMART Goals. Download it here. 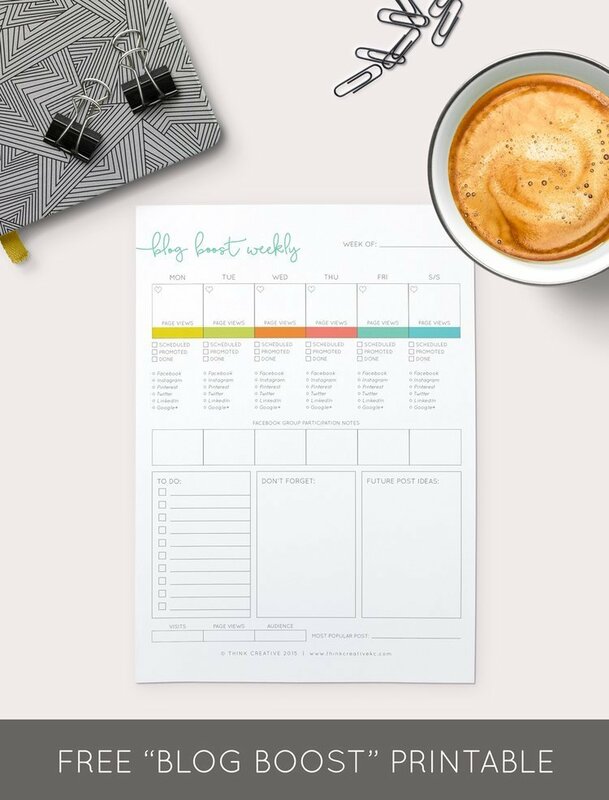 This is great if the free printable blog planner you’re looking for also has goals and a business plan attached to it. 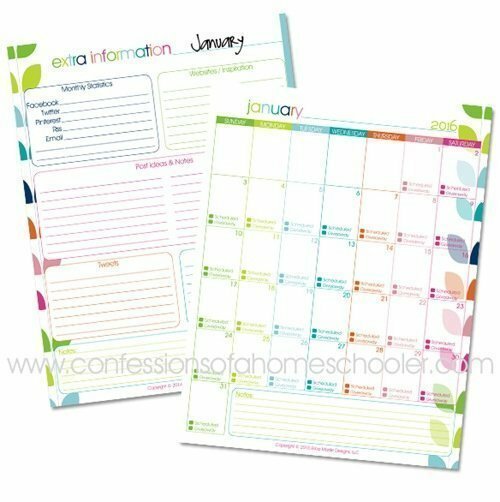 Confessions of a Homeschooler puts out a free printable blog planner every year and it’s packed with loads of useful pages and vibrant colors. This was actually one of the first blog planners I personally used. Download it here. 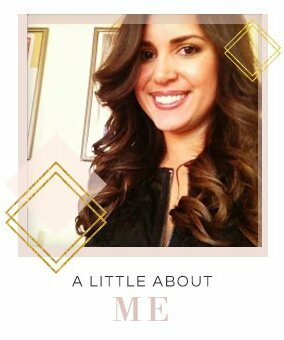 Elite Blog Academy’s planner includes daily & monthly planning pages,brainstorming pages, a goals worksheet, expense tracker and more. Download it here. 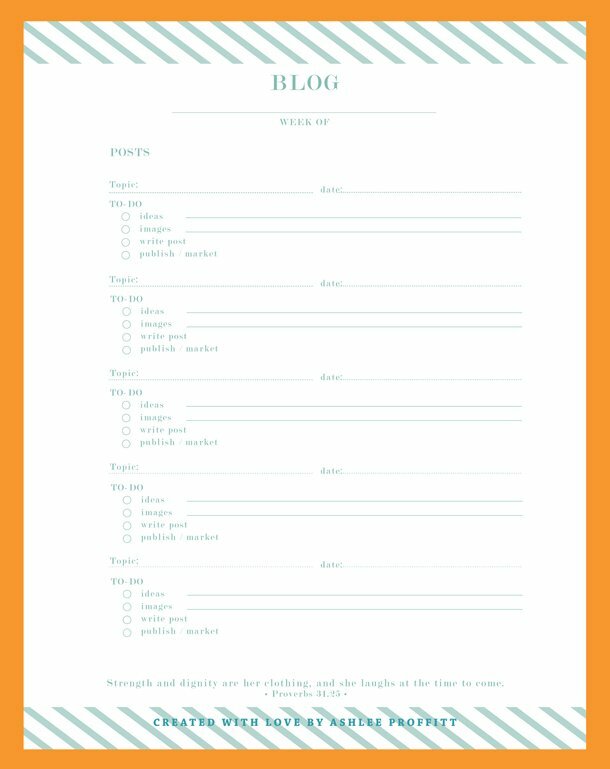 If you’re monetizing your blog, A Well Crafted Party has you covered with worksheets to keep track of collaborations, affiliate programs, sponsors, events and much more. Download it here. 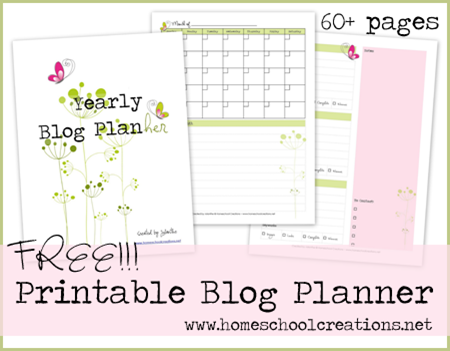 One of the first blog planners I used was from Homeschool Creations. 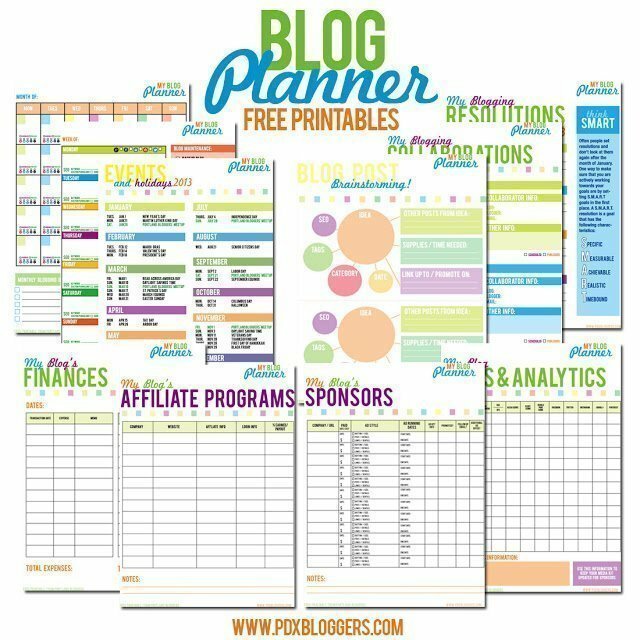 It has tons of blog planner printables and more than 60 pages! Download it here. 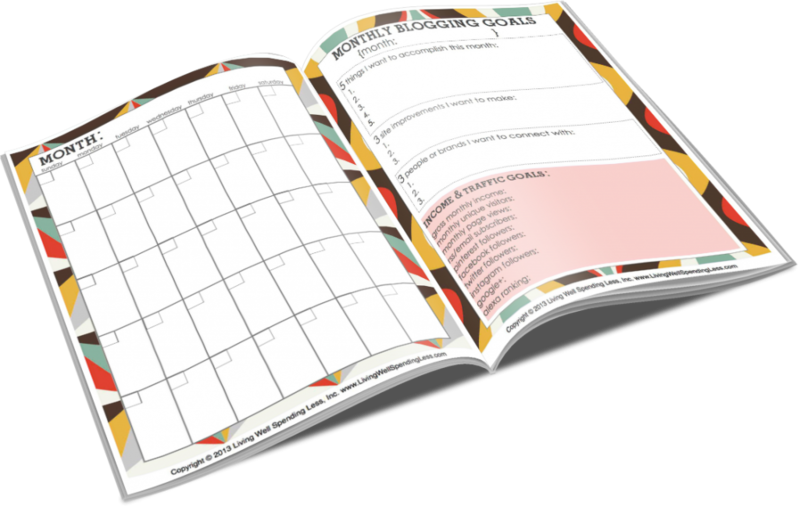 Looking for a free blog planner that’s an A5 size? 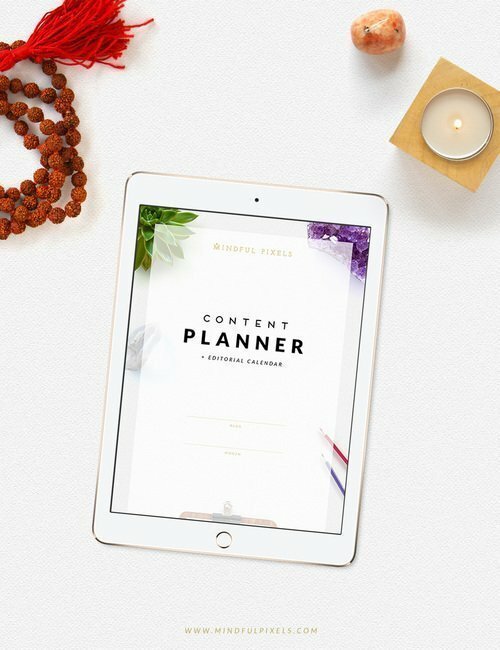 Mindful Pixels has a lovely free content planner for you. Download it here. If you want something a bit more simple and straight to the point, check out this one-sheet by Think Creative Collective. 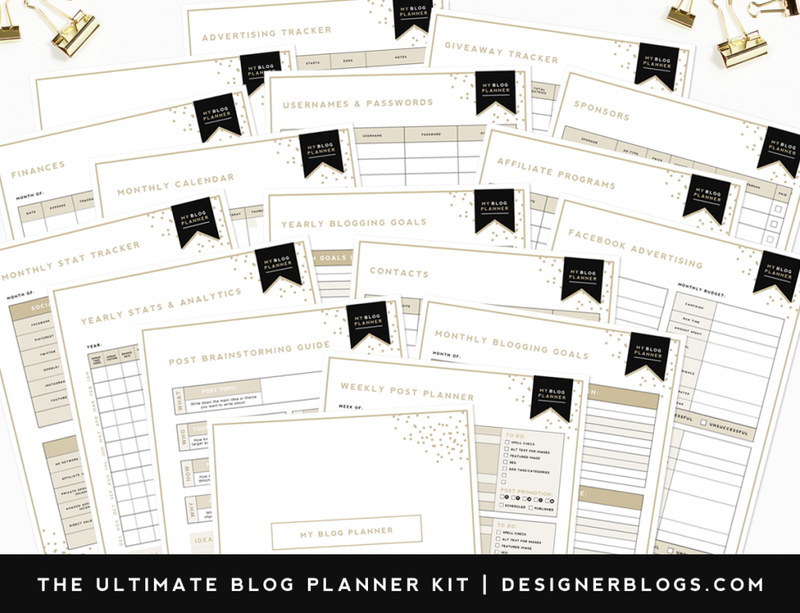 The design is lovely and it covers all of your blog planning essentials. Download it here. 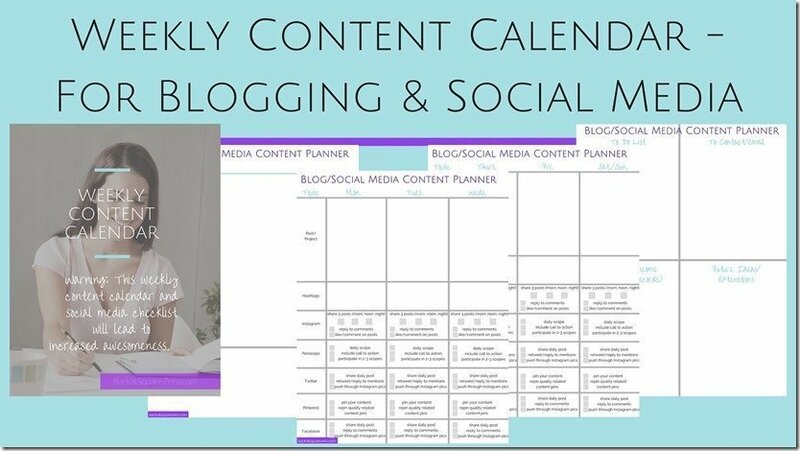 Plan your blogging and your social media all once with this free social media and content calendar by Back at Square Zero. Download it here. 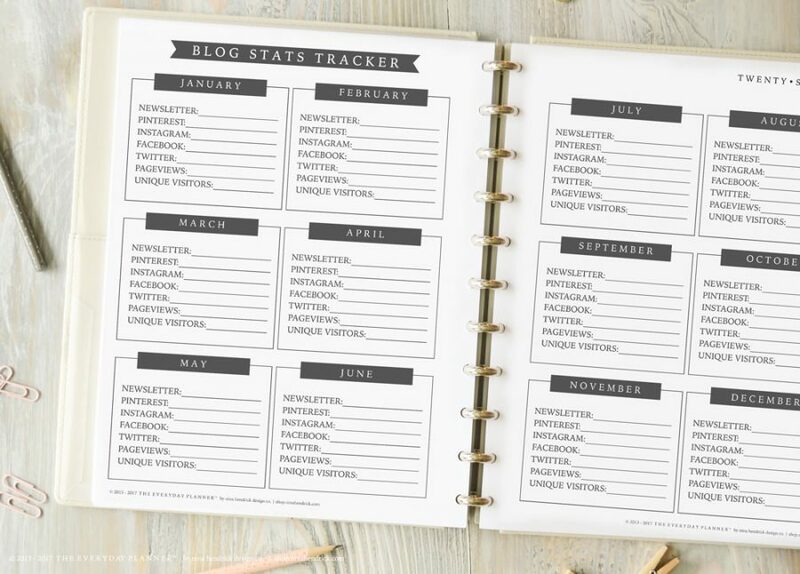 Staci over at 7 on a Shoestring has a free 2016 printable blog planner where you can plan your posts, keep track of your blog income, giveaways, monthly stats, upcoming holidays and more. Download it here. 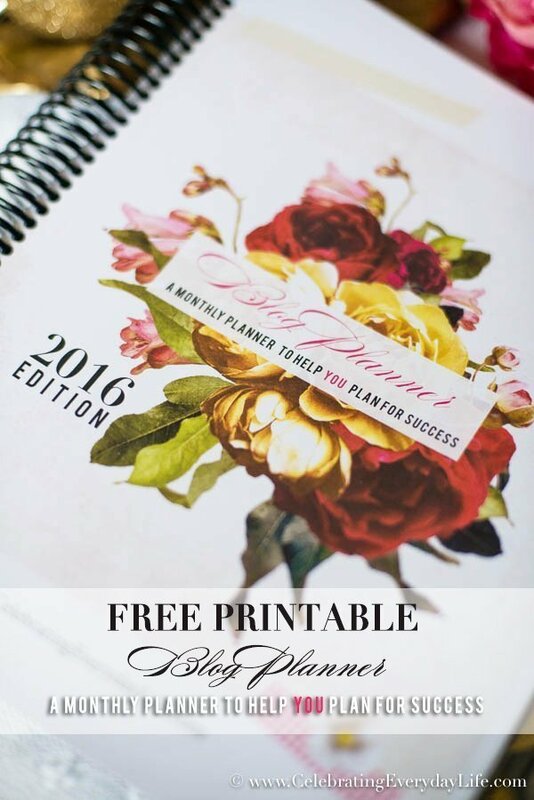 Jennifer from Celebrating Everyday Life has this beautiful 2016 free blog planner packed with 133 planning pages! Download it here. 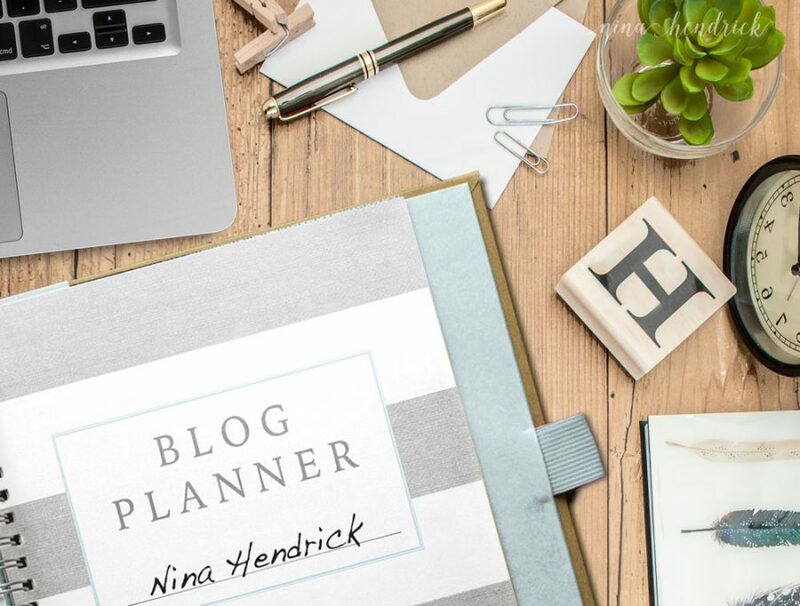 I love the beautiful design of Nina Hendrick’s free blog planner. This version is updated for 2016 and includes monthly and weekly planning, brainstorming pages, stats tracker and more. Download it here. 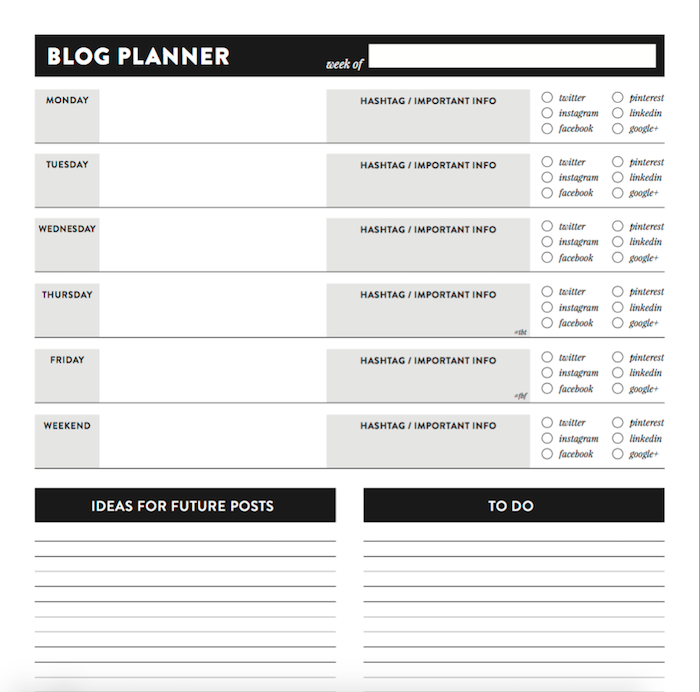 Do you use a blog planner to keep track of your content planning? I’d love to hear how you stay organized! OMG! I’m so glad I stopped by! These are awesome and that first one though…. LOVE! Thanks so much for including mine. Thanks for creating such a lovely free planner!